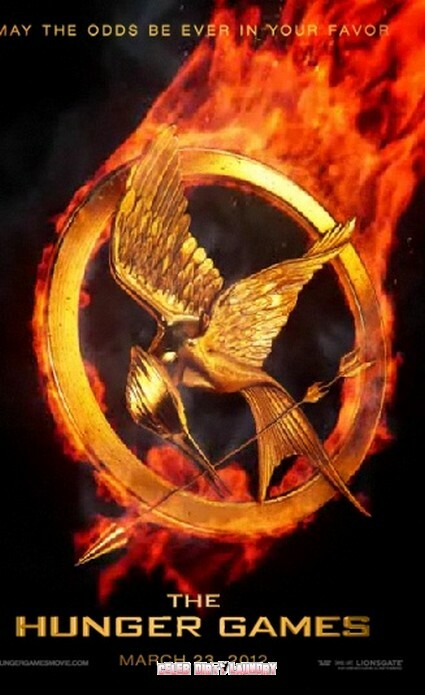 Lionsgate studio released a cool motion poster for Suzanne Collins’ The Hunger Games. The poster is below – check it out! The film will be released March 23, 2012 and Lionsgate studio decided that The Hunger Games trilogy should unfold as a four-film series. The film stars Jennifer Lawrence as Katniss as well as Liam Hemsworth, Josh Hutcherson, Elizabeth Banks, Woody Harrelson and Lenny Kravitz. The Hunger Games sounds like my type of story: “In a world where North America has crumbled and a new country, Panem, rises out of the ashes, children are sent to battle to the death in an arena. Two tributes are chosen from each of the twelve districts, from ages 12 to 18. Through a trilogy that has captured the hearts of many, Suzanne Collins tells a tale of a parallel universe riddled with conflict, betrayal, bonds and friendship in a game of survival of the fittest”. If your at Comic-Con go check out the Lionsgate booth to get more tidbits about the movie!